Wisdom of Life. 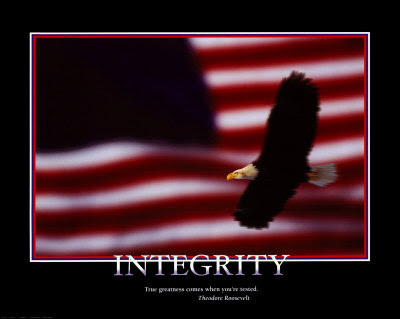 : Integrity is the key to successful selling. Never ask a fruit seller whether his fruits are sweet. He will definitely say "Yes!" Neither should you ask a restaurant whether he serves tasty food coz his reply is "Yes!!" again. All sales and services are always presented as their best of quality in marketing. Can't blame the advertisers, otherwise sales might not move. In my many years of selling, I believe a professional salesperson should have integrity and principle in his business dealing. He should tell the pros & cons in his products. I am sure nobody is perfect. He should be honest to divulge what he can and can't do. Nothing is permanent, he shall not make promises when he can't guarantee. In short, no empty promises. Most of all, he should try not to over sell himself. One can take a customer for a ride once, but you cant' cheat all the time. Especially when you are dealing with the intellectual class of society, they know what they buy and whom they are dealing with. My clients are happy to deal with me because I always tune down my selling. I will never claim my company is the best, neither will I degrade my competitors. All life insurances are the same coz they are written by the same school of artuary. The only logic is, the more you paid the more you get. My strength is my knowledge and wisdom. Whereas my defect is my age against my younger clients. I am very serious with my business but please bear along with my naugthiness. I don't make promises but I promise to do my level best. I can't offer much but I have sincerity, honesty, patience, kindness and plenty of humour to make you laugh. So! If you happen to see another salesperson like Robert Foo.... that is the man you should deal business with.